Wir nutzen für unsere Abläufe die Vorzüge, die sich durch die Verwendung von Virtueller Realität (VR), am Computer erzeugter/gerenderter Bilder (CGI), oder der erweiterten Realität (AR) ergeben. Neben mobilen Lösungen für beispielsweise Smartphone oder VR-Brillen nutzen wir hierzu insbesondere das VR-Center des Packaging Valley. Profitieren Sie davon bei der Umsetzung Ihrer Projekte, oder nutzen sie unsere Dienstleistungen zugeschnitten auf Ihre Anforderungen. Unser Klemmtransportband KTB können Sie virtuell in ihrem Raum positionieren. Mit diesem maßstabsgetreuen 3D-Modell eines KTB Klemmtransportbands bekommen Sie einen optimalen Eindruck von Design und Funktion dieser Komponente unseres Pharma Transport Systems PTS. Mit der MIX MOBILE App können Sie auf Ihrem iPhone oder iPad das Modell dreidimensional und in Originalgröße direkt in Ihrem eigen Arbeitsumfeld betrachten. Sie haben Fragen zum Produkt, Interesse an der Umsetzung einer ähnlichen Lösung für Ihr eigenes Produkt oder verfügen über eine Microsoft HoloLens und möchten damit unser Klemmtransportband erleben? Dann nehmen Sie gerne mit uns Kontakt auf. Take advantage of forward-looking technologies and virtual applications. An idea, a sketch or a drawing is all we need. 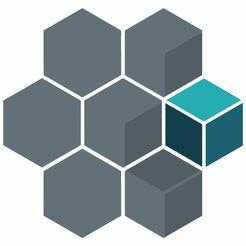 We will be please to help you create models, and to convert and merge data from different systems. We prefer direct linking to current CAD systems, to save the, at times, laborious conversion of data by using native data. Let us help you create your own virtual world. 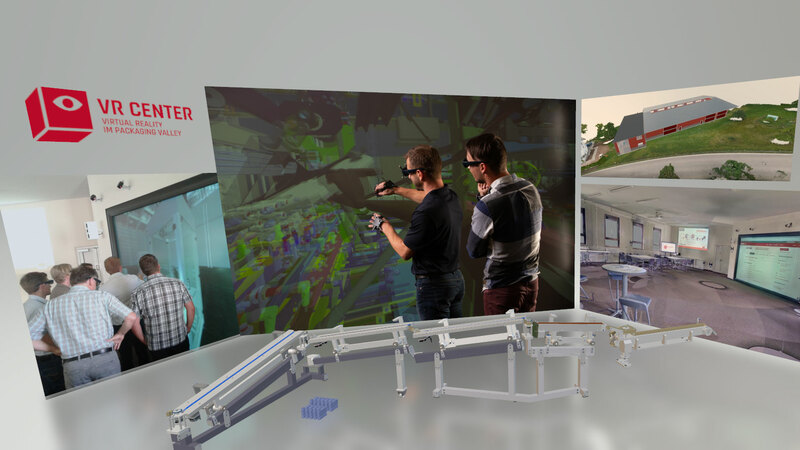 Virtual Reality, as a fully fledged technology, allows you not only realistically represent data, but also to merge large volumes of data, such as 3D laser scans, to create an Augmented Virtuality environment. It also permits the use of mixed reality for the conversion of existing lines through simple reverse engineering of real-life objects. All of this can be used subsequently as a basis for the development of systems, documentation or external presentations. The implementation in augmented reality or mixed reality depends on your requirements and specifications. The use of Mixed Reality can provide added value at virtually any stage in a project. For example, you can offer your customers added value by adding Mixed Reality to real-life objects in the form of videos, images or holograms. 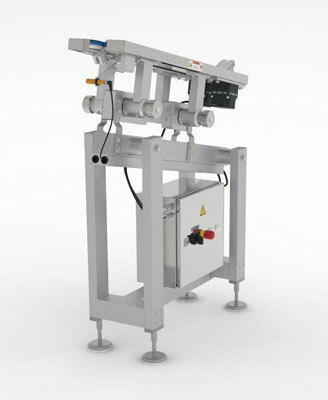 We will find the ideal solution for you and your customers. Find the ideal virtual solution for your application. 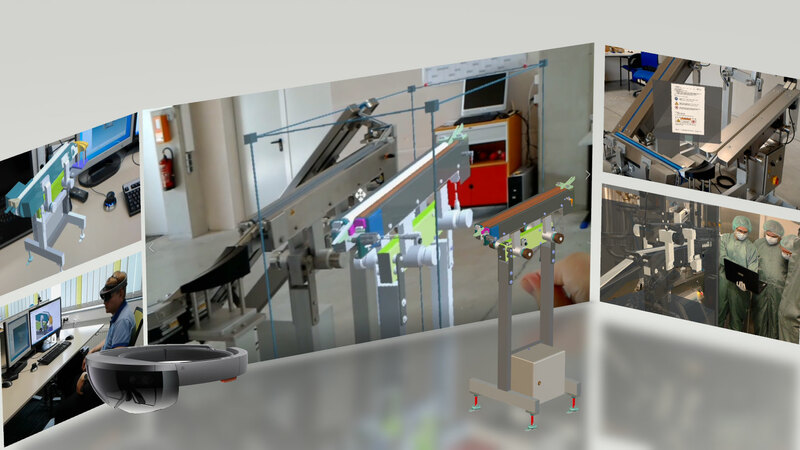 Our work in mixed reality is a product of many years of experience in design and project planning in the area of machine and plant construction. The ideal solution in “virtual reality” or “mixed reality” depends on your application, goals and timing, as well as the available data. 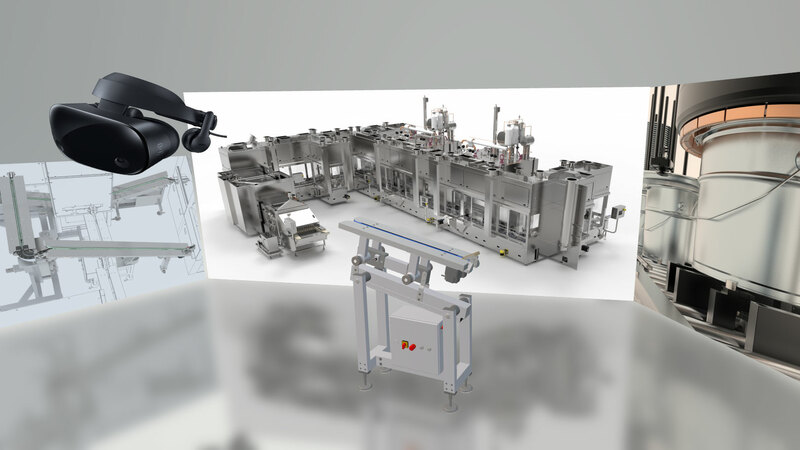 With services ranging from the creation and processing of 3D models to the generation of new information via simulations, animations, images, films etc. through to data management and the adaptation of your system and your processes, we implement your project within a clearly calculable framework. Of course, you can make use of the Virtual Reality Center, particularly if you need high-performance hardware to process large volumes of data. Head mounted Displays (HMD´s), such as the Microsoft HoloLens for creating a Mixed Reality environment, allow work to be performed hands-free. Mixed Reality is also available on standard smartphones, laptops or tablets for transportable augmented reality applications, such as those used by Service and Sales. 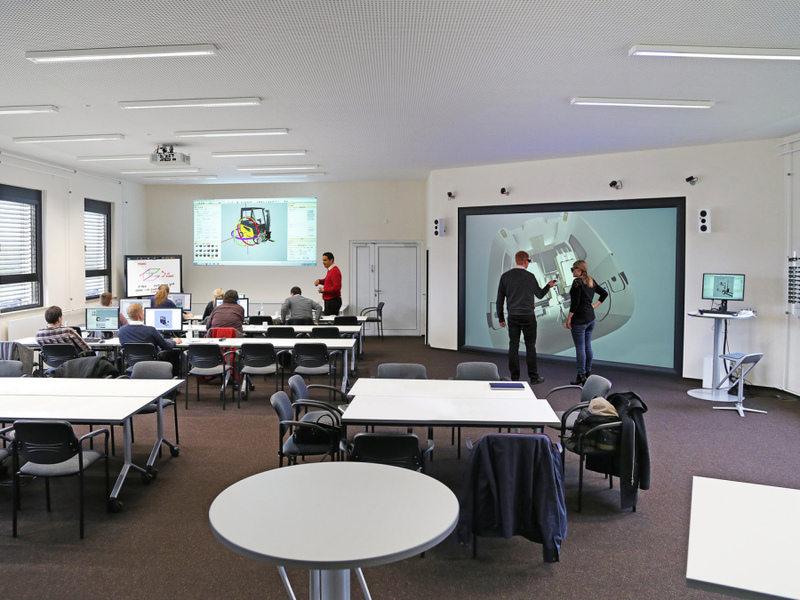 In the Virtual Reality Center at the Schwäbisch Hall Technology Center you can utilise virtual reality technology to create life-sized three-dimensional simulations of machines and processes. 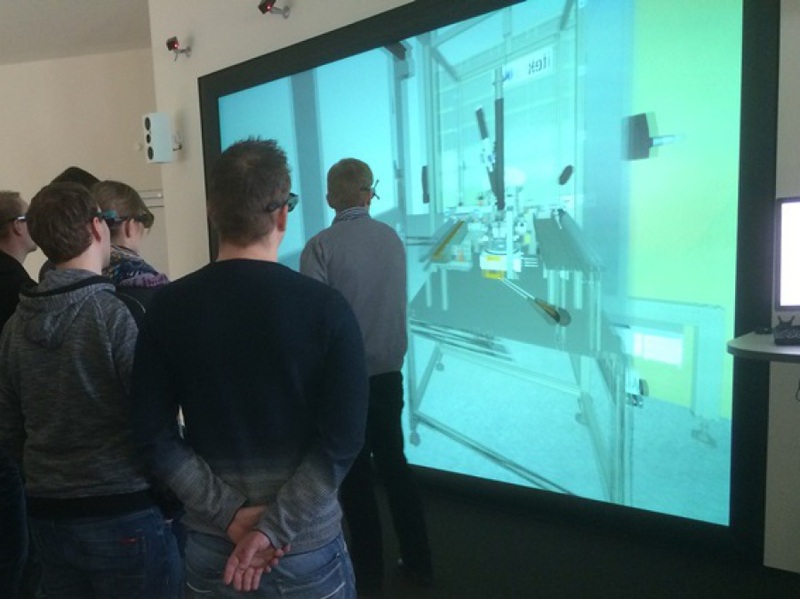 In a virtual environment you can make to your presentation into a special experience. You can look forward to cutting-edge technical equipment as well as individual instruction and support from our VR experts.